These greatly renowned madrigals were written for 4 to 7 voices by Adrian Willaert and Cipriano de Rore, two Flemish Renaissance composers living in Italian exile. Their profound significance and long-lasting influence arose from a rather alchemical magic by which sense and syntax are interwoven with beauty and sound. The CANZONIERE, this famous set of poems in which Petrarch recounts his love story with Laura, gives way at places to « ricercare » pieces, specifically composed for instruments. Indeed, we should not forget that the Renaissance was not only the zenith of vocal polyphony but also the time where instruments shook off their bounds from human voice and music became purely instrumental! 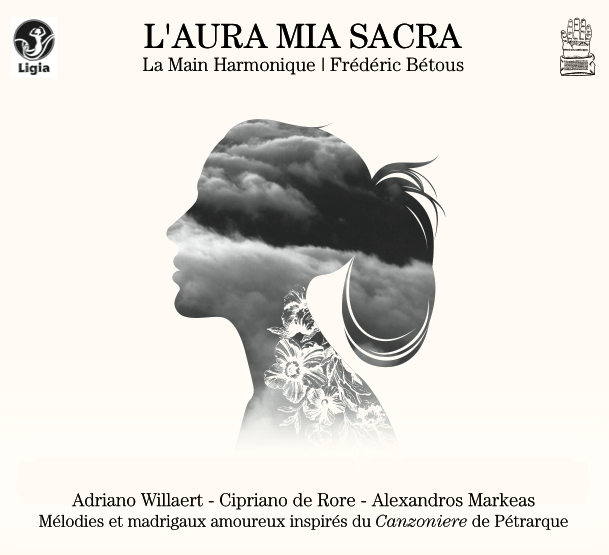 This programme also offers you the opportunity to hear a contemporary piece specifically commissioned for it by La Main Harmonique, THEY SAID LAURA WAS SOMEBODY ELSE by Alexandros Markéas.